Should SEO targets be keyword focused? The words SEO and keywords go together. You rarely hear one without the other, and they are very much related. But should your SEO strategy be keyword focused? And should the success of your SEO work be based on keyword performance? In this article Extra Digital look at why too much focus on individual keyword performance can be a bad business decision and not produce the best SEO results. 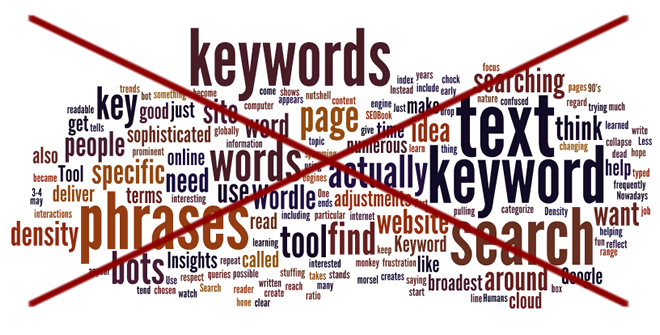 So yes –we are saying that the success of SEO work should NOT be based on keyword performance. This at first may sound strange. But it is not. Most online shops want more sales and more profit. They will not be happy with ‘good keyword rankings and lower sales’ , so the key measure of a successful SEO strategy is increased profitable revenue from non paid search traffic. B2B businesses want more leads and enquiries. They will not be happy with ‘good keyword rankings and lower numbers of leads’ , so the key measure of a successful SEO strategy is increased qualified leads from non paid search traffic. The best SEO work will focus primarily on achieving this end result. So where do keywords fit in? Keywords can be measured, researched and quantified and provide a useful insight into customer behaviour. If you are selling widgets, there may be 2 different types of person looking for these widgets, each searching via different keywords and each influenced by different factors in their buying decision. So the first use of keywords is to understand and segment your target market. This usually results in several sets or groups of core keywords. But these will contain very effective keywords, weak keywords, irrelevant variations and poor ones that generate poor traffic. Before 2010 it was helpful within SEO to target all variations of keyword as the more SEO traffic the better, regardless of quality. But this is not now the case – websites with high traffic and high bounce rate do less well in search rankings than those with lower traffic that engages with the website. It is also worth mentioning that Google states they do no like use of repeated ranking checking using automatic tools. Successful SEO will therefore put effort into the specific longer tail keywords that actually convert into leads or sales. The focus being on the increase in leads or sales, not the specific keyword ranking or number of keywords worked on. So keywords are used as part of the SEO plan to increase relevant traffic, but do not need to form the basis of SEO performance measurement. NOTE: All SEO work carried out by ExtraDigital focuses on increasing leads or sales rather than improved keyword rankings.